You’ll have to excuse our excitement but yesterday saw the release of a New Anthology that we have a particular interest in. Co-Edited by one of our Showcase authors in Tim Marquitz MANIFESTO UF is an Urban Fantasy anthology containing “twenty-three stories full of action, snark, and unadulterated badassery” and being lucky enough here at The Showcase to have had an advanced read through them all we can tell you there is not a weak link among them. In fact 2 of our Showcase authors in J.M. Martin (Separation Anxiety) and Kenny Soward (Gold Dust Woman) have stories featured. Other notable names include Zachary Jernigan, Teresa Frohock, William Meikle, Besty Dornbusch, Lincoln Crisler and Jeff Salyards. 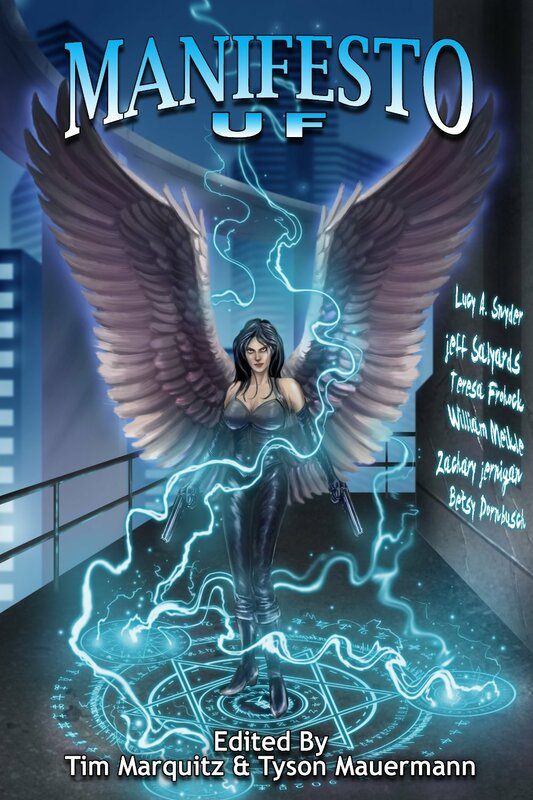 So if you are a fan of Urban Fantasy this is one Anthology you wont want to miss. Published by Angelic Knightpress, it’s available to purchase right now on ebook format and in print in the next fortnight.